The first Cameroonian video game. How can I get the game ? If you are away from Cameroon, you will get the game directly from the Steam platform. Do you want the printed version of the comic book ? The printed version will be available on amazon before the end of 2018, please register on the newsletter to be notified. YOU WANT TO READ THE COMIC BOOK ONLINE? Click on the following image. Aurion: Legacy of the Kori-Odan is a 2D African Fantasy Action-RPG game that is introducing a new, rarely seen perspective to this genre. The dynamic and impressive gameplay has been more inspired by the "Tales of" series. The main narrative draws deeply from African culture and is hopefully the first entry in a series we call The Kiro’o Tales. We hope you will increase your "gamer-fighting-spirit" after playing to this game. Enzo Kori-Odan, prince of Zama city suffers a coup d’état conspired by his brother-in-law Ngarba Evou on his coronation and wedding day with Erine Evou. Exiled in shame, the royal couple travels the world, gain strength, and assemble their Aurionic Legacy, in hopes to return to Zama and claim what was taken from them. Beyond retrieving their position, the fallen royal couple will particularly discover the geopolitical and existential dilemmas attached to their roles of King and Queen. Aurion is an action-packed journey that will bring our two heroes across the entirety of a beautiful, uniquely rendered African fantasy world. Rich in detail carefully designed and fully realized in scope, the world of Aurion stands apart from most any other video game universe. Aurion is at the same time a mystery and evidence in the planet Auriona. This energy was discovered a long time ago and manifests in many ways (battle, handicraft, etc) in daily life. Stitched into clothing and embedded into weapons, aurionites modify the abilities of the bearer and are closely linked to the game's open-ended action mechanics. Erine is the young spouse of Enzo Kori-Odan. Her brother Ngarba is responsible for the coup d'état which occurs during her marriage. Erine has an important role in the story as she assists Enzo in a combat, by healing her newly husband & performing powerful magic attack. Simply speaking: Aurions can be used to improve attack, speed, damage, magic, and others abilities. Aurion's gameplay combines the dynamism of real-time combat with the thoughtful strategy typically found in RPGs. It has two phases: exploration and combat. Confront enemies directly, leveraging Enzo and Erine's abilities in battle. Build your legacy, swap Aurions, and combine them to create new ones. Engage in powerful duels framed by compelling dialogue. Discover a spiritual quest that takes our heroes on a unique journey across a wonderful world of African fantasy, etc. Real time epic and strategic combats await you. Auriona is a rich and dynamic planet composed of six continents. The world’s population consists of six main bloodlines, all connected through a rich origin story. 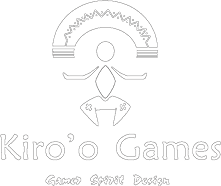 Decide your route as you work to discover the wealth of the Kiro’o Tales throughout many side quests and encounters. For any query, suggestions, etc. Young Queen of Zama who lives the adventure alongside her husband Enzo Kori-Odan. She supports him in the quest for their Aurionic Legacy that will allow them to save their people. Umoja Gear: "Moyoni Ukuta". It means "The wall of heart" in Swahili. The armor suit "Moyoni Ukuta" (The wall of the heart) designed for Zama's Queen, synchronized with Enzo's Gear "Ulinzi".